Located in Trinity on the Bonavista Peninsula, this unique property features a selection of historic shorefront buildings comprising guest rooms and self-catering holiday homes. At the heart of the Inn is The Twine Loft, which houses the reception area, lounge and restaurant. The Twine Loft Restaurant serves breakfasts and dinners with views over Fisher’s Cove – reservations are recommended as sunset dinners are popular with guests and locals alike. The Twine Loft’s spacious wrap-around deck is licensed for liquor service and is the perfect spot to sit and enjoy a drink whilst soaking up the views; staff will even provide blankets on cooler evenings. Alternatively head inside to the cosy lounge to take advantage of free wi-fi and a good selection of books. Guest rooms and suites are scattered amongst three separate houses, just a short walk from the Twine Loft – Campbell House, Lighthouse View and Barbour Place. 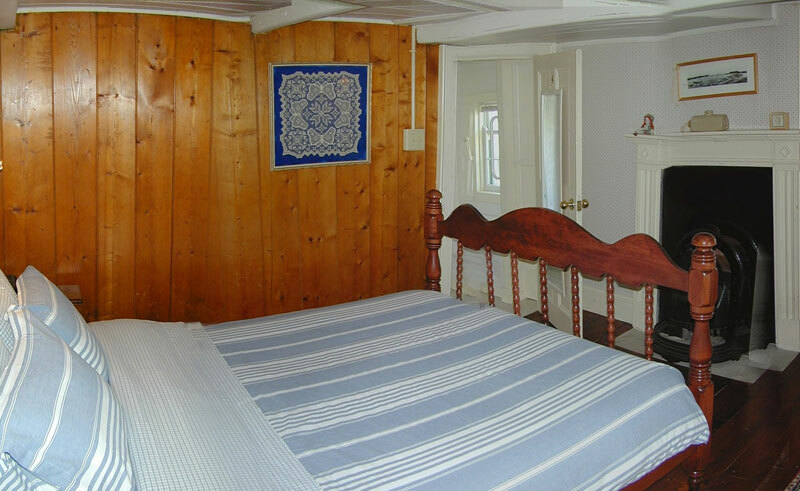 Many of the furnishings are museum quality antiques or have been hand crafted by local artisans, adding a quintessentially Newfoundland character to your stay. The Artisan Inn is a great base from which to explore local natural attractions such as the Skerwink Trail, Terra Nova National Park, and a choice of whale watching and iceberg viewing cruises. Encounter coastal charm and wealth of natural and historical attractions.